The 2012 vintage began with textbook conditions that continued through much of Harvest. 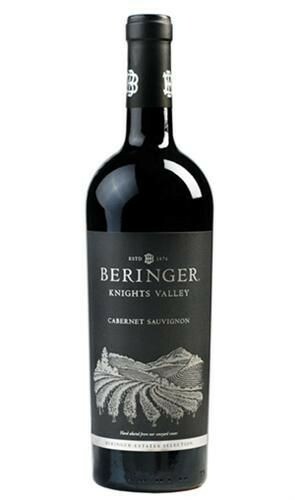 The 2012 Knights Valley Cabernet Sauvignon has aromas of dark blue fruits and spices. Notes of cassis, sweet licorice and a juicy core of fruit are balanced by nice acidity and a silky, lingering finish. Spring bud break was ideal with steady flowering and even fruit set. A lengthy stretch of warm days and cool nights during the summer months allowed for optimal ripeness to develop in the grapes and an exceptional quality overall. Late and light rains held off until the grapes found ripeness, bringing exceptional quality to the crush. Located 17 miles northwest of the winery, Knights Valley vineyard is approximately 600 acres, and has rocky, well-drained soils that are perfectly suited to Cabernet Sauvignon, Sauvignon Blanc, Semillon, Merlot, Cabernet Franc and Petit Verdot. Grapes for the 2012 Knights Valley Cabernet Sauvignon were harvested between October 4th through October 26th.